A port of the default look of Enlightenment DR15. Update: included Workshelf skin now compatible with WS alpha 5 release & later. SS also shows my matching Windowblinds skin available from wb section. What the h*ll, everyone else has done one... This was inspired by DP4. Updated, integrated theme that REQUIRES NextSTART 2.2/WorkShelf v0.32 or higher! 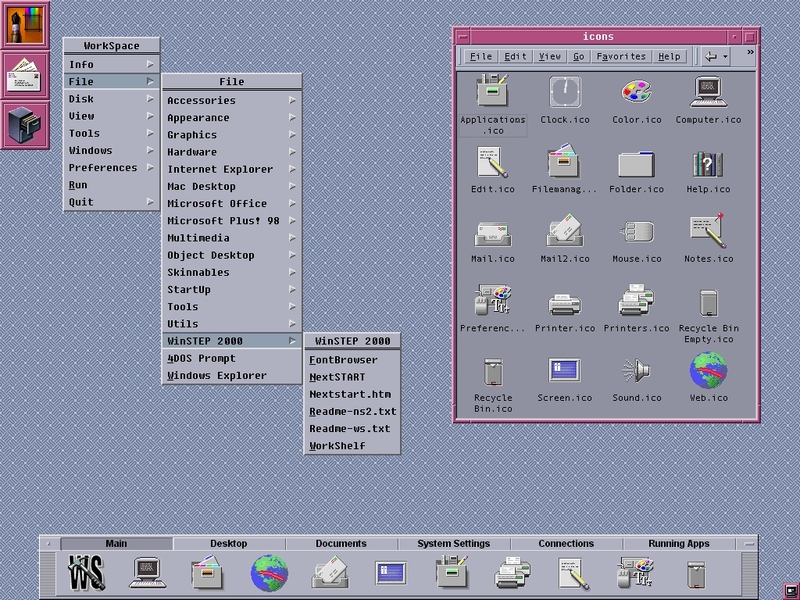 Includes WinStep Clock theme.